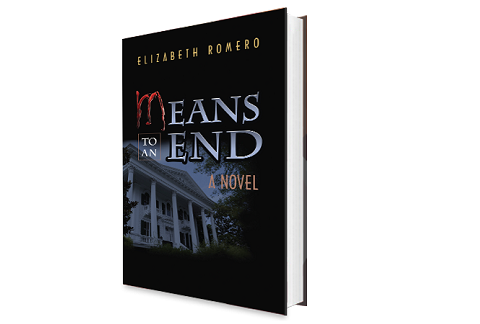 Means to an end is the first novel by Elizabeth Romero. We get to follow seventeen-year-old Asbhy Devereaux, who lives in North Carolina with her drug addicted mother and abusive stepfather. After years of sexual molestation, she finally takes care of the problem and leaves her miserable life. On the run from the law she changes her name to Monique. She goes to New Orleans to try to find her twin brother. Instead she finds love in the older Judge Moreaux, but can she trust that he will not betray her? The novel is set in 1985, but the people, the setting and the language makes it feel more like 1885. The occasional reference to an eighties’ song is the only thing that brings you back to the 20th century. The cover states that it is a romantic mystery, and it is definitely more a romance novel than a mystery. It is basically a Cinderella story, and many characters are not believable, but then again the novel is for entertainment. I think that if the right expectations are set, this type of novel definitely has an audience, but it is not my cup of tea. The epilogue is probably the most interesting chapter, and it also has a different feeling than the rest of the book. It moves the novel into the present and also sets the stage for the next novel in the trilogy about Monique.